To serve as the lead gift endowing the Economics Arkansas Foundation. LITTLE ROCK—The Walton Family Foundation awarded a $2 million lead gift to endow the Economics Arkansas Foundation as it seeks to reach more teachers and ultimately PreK-12 students who will become the future producers, consumers, savers, investors and citizens of this state and nation. 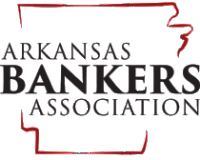 Established in early 2016, the Economics Arkansas Foundation has a goal to establish an $8 million endowment to assist Economics Arkansas in the execution of a new strategic plan, which will be finalized by year end. The first objective includes goals to: increase the number of teachers trained annually, increase teachers and students involved in “signature” programs, and institute a standardized evaluation instrument to measure ROI from all outreach efforts. The organization is experiencing high demand for signature programs, such as The Stock Market Game Program, which grew 28% last school year with student impact of close to 13,000. Students manage a $100,000 hypothetical investment portfolio by trading “live” in the stock market, which teaches them key concepts about our economy and how to save and invest for the future, plus the program integrates math, social studies, economics, technology, and higher level thinking. CHOICES is also experiencing fast paced growth as Economics Arkansas became the 2nd highest presenter of CHOICES in the nation last school year with 134 classrooms reached. Owens shared, “We are finding CHOICES fits beautifully into 8th grade Career and Technical Ed classrooms, and it reaches students at a critical point in their lives. The program “turns on the light bulb” for students to understand they can live the life of their dreams if they take control of their own life, and for those living in poverty - it is a life-changing message.” During a CHOICES presentation, the comparison is made between the original cell phone compared to today’s iPhones. Students agree they would not purchase the original cell phone as it did one thing – make calls. Students want an iPhone that has many apps! Employers want the same thing – they need a workforce with skills, talents, and education, so students learn they are in “production” while in school – they are adding to their human capital and are becoming an “asset” for a market-based economy. For more information about Economics Arkansas and its programs and training for teachers and students, please visit www.economicsarkansas.org.